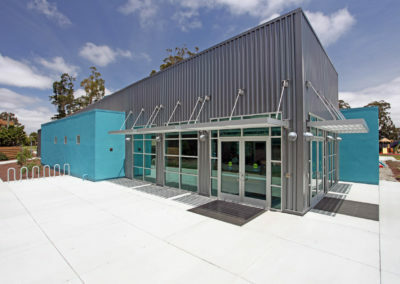 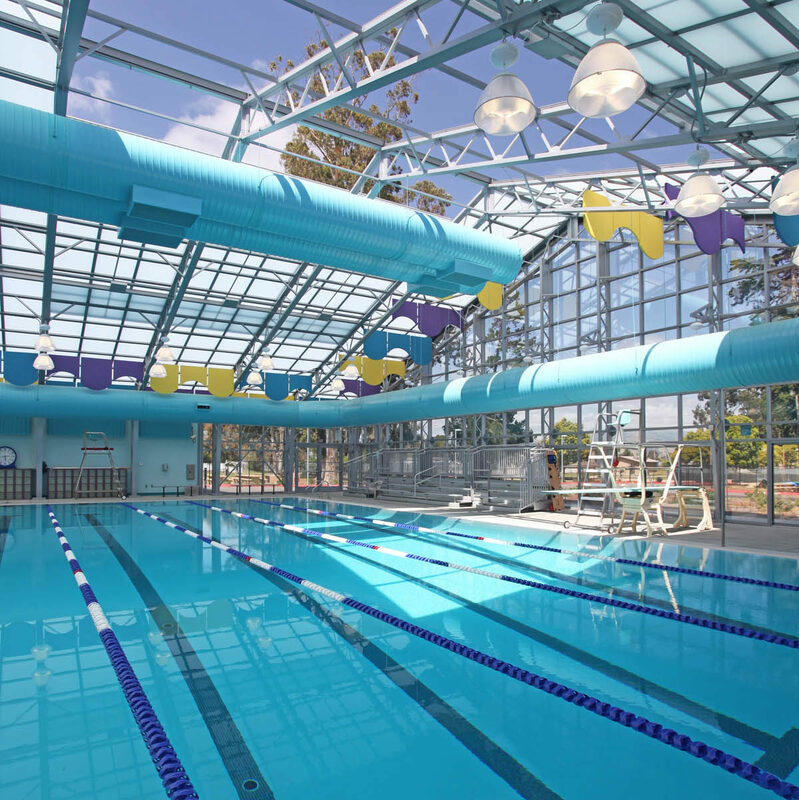 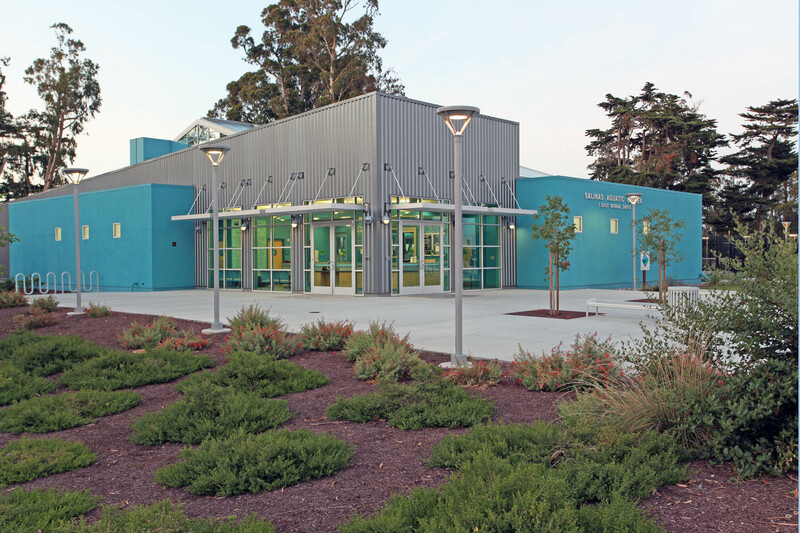 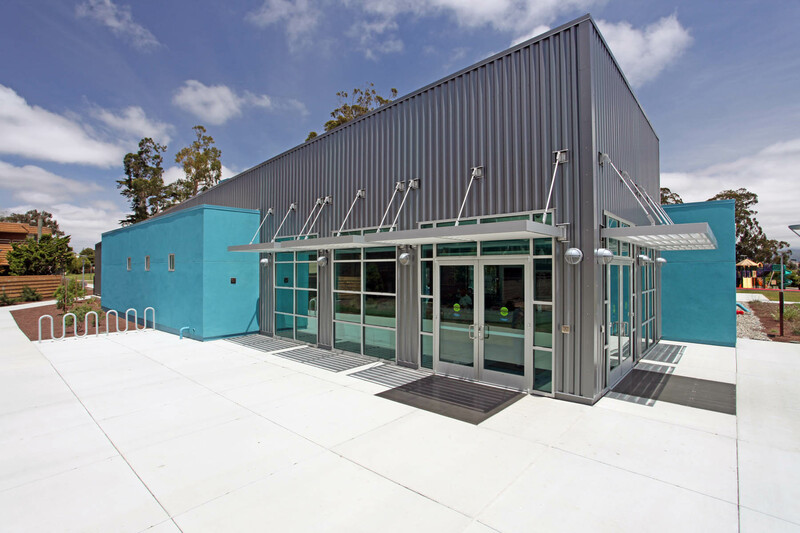 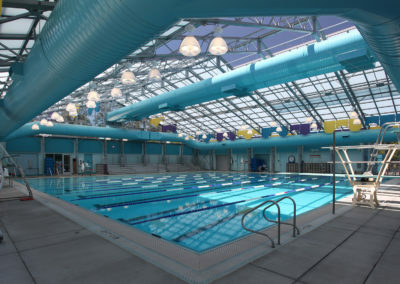 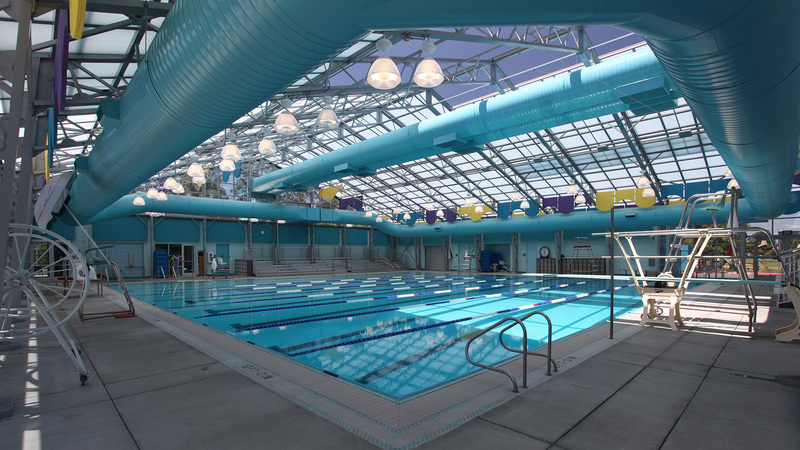 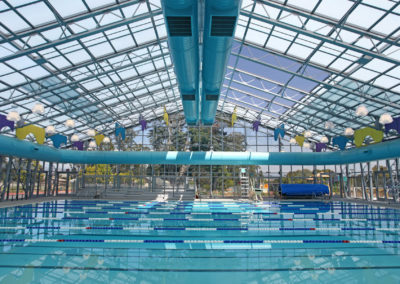 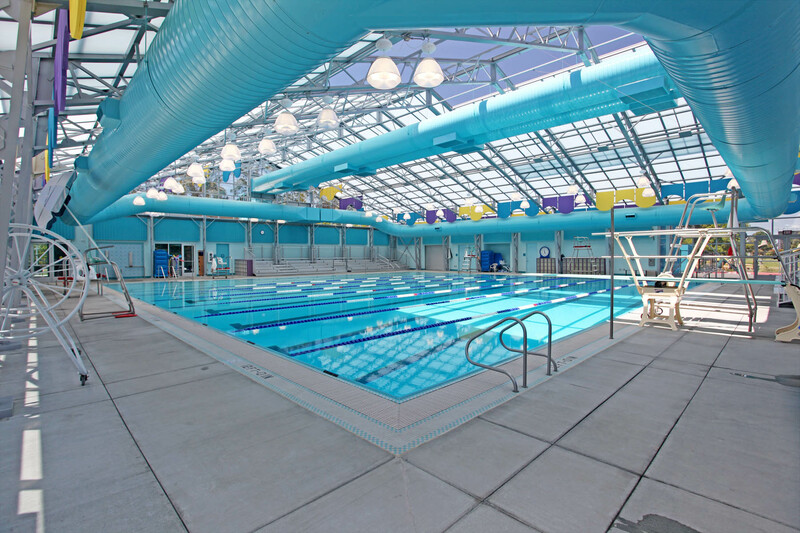 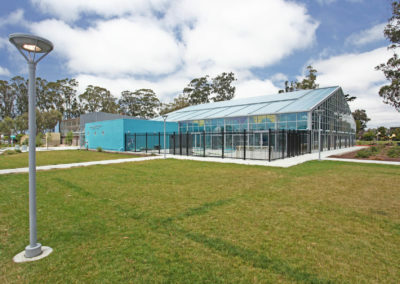 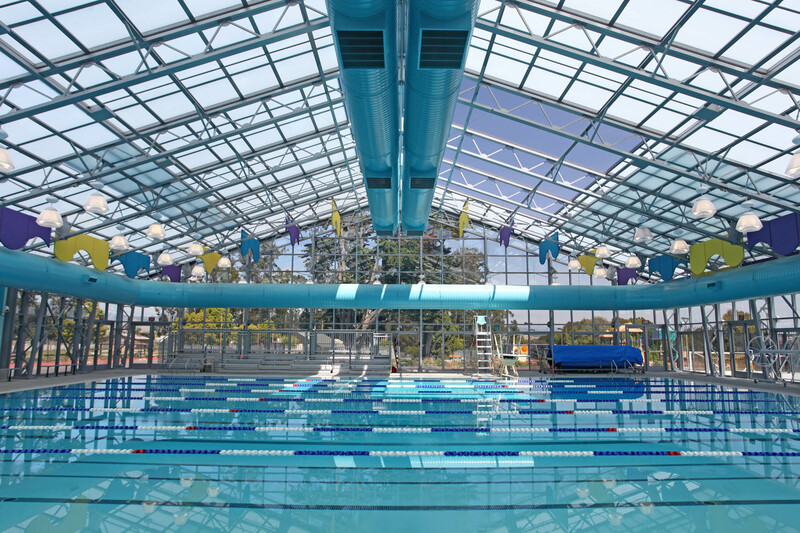 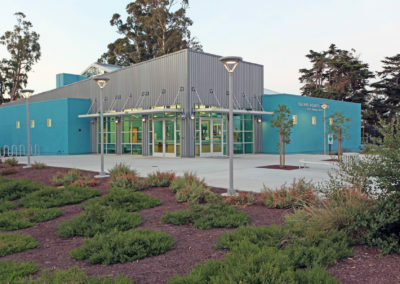 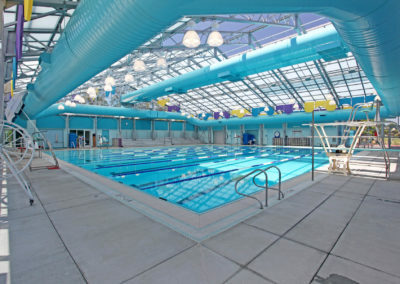 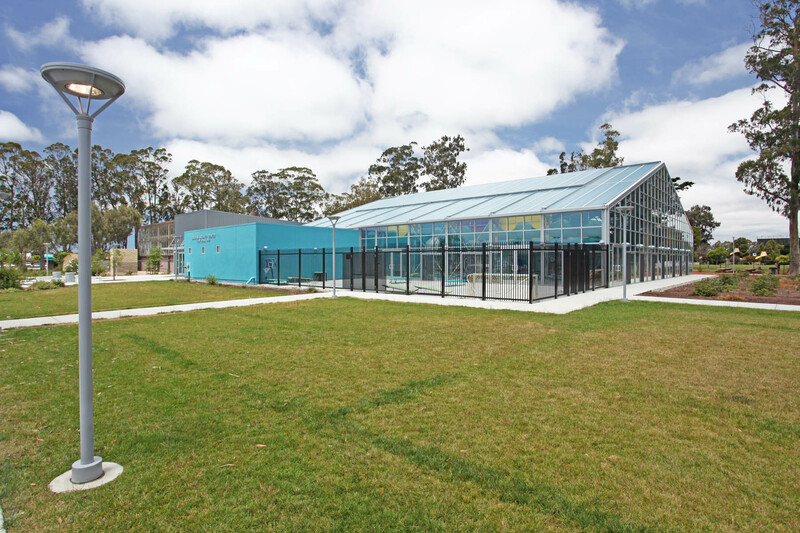 This project is a new indoor aquatic center located within an existing park which replaces an existing indoor aquatic center previously on site adjacent to an existing community center. 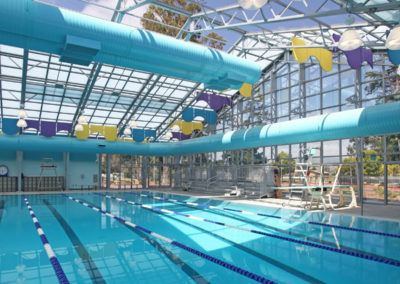 The new facility includes a natatorium that consist of a pre-engineered aluminum structure with translucent and transparent roof and wall panels that house a new 73 foot by 75 foot pool with 6 lanes for competitive swimming and 3 lanes for instruction/lap swimming, a 1-meter diving board, exterior patio, with provisions for future expansion of the natatorium to include a water slide, therapy pool, and wet spray pad. 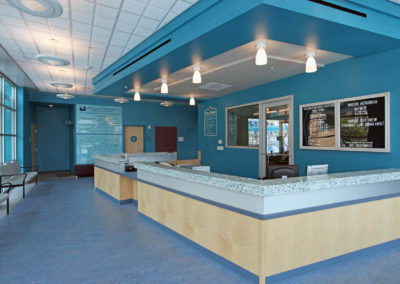 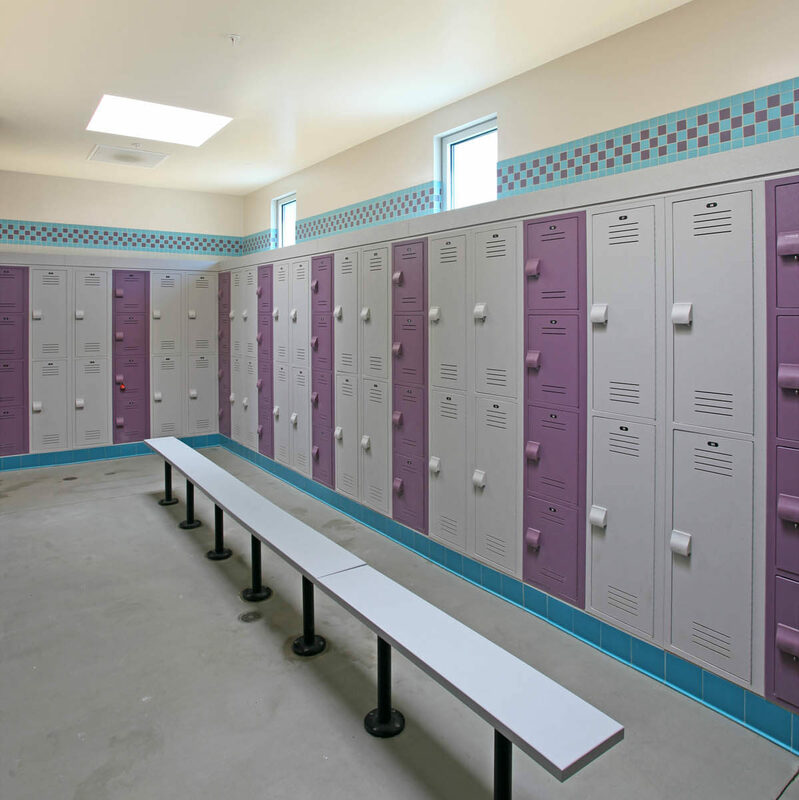 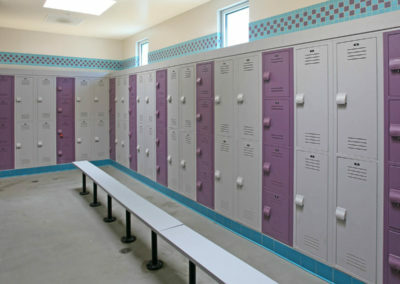 A lobby, men’s and women’s locker rooms, a family changing room, administrative space, as well as pool equipment and storage space are provided. 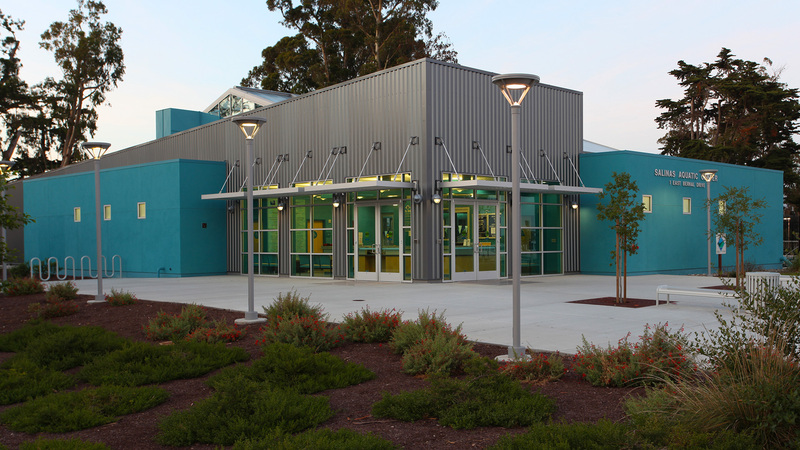 The site work for the new facility includes a new entry plaza and new parking. 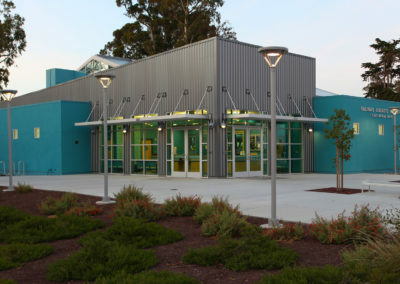 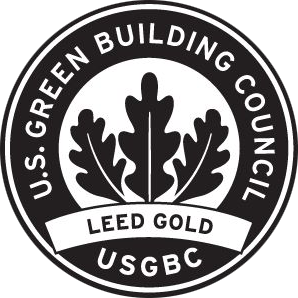 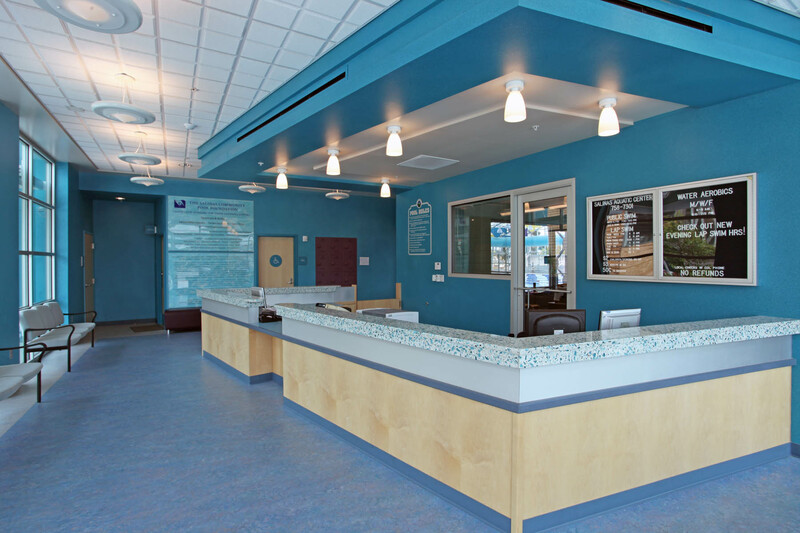 The project was awarded LEED Gold certification.